How can employees take breaks? 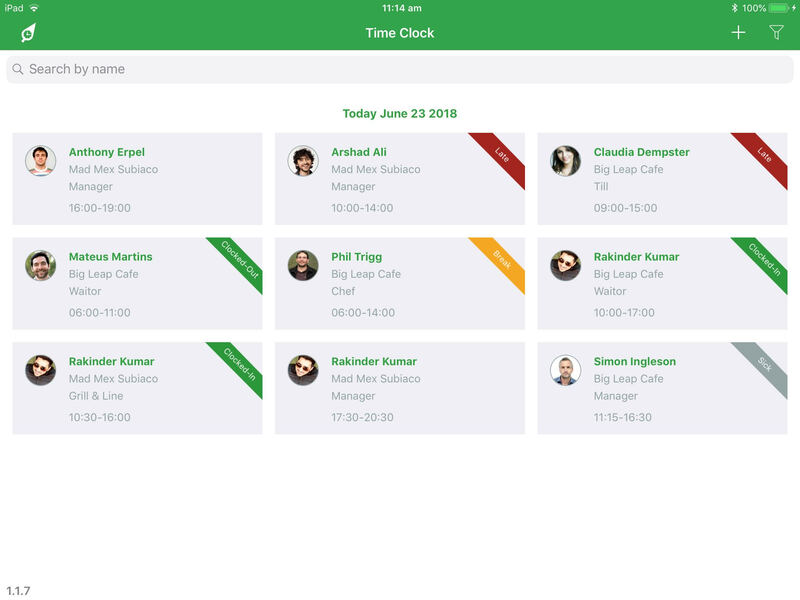 Employees can clock in and out for breaks on shift using RosterElf's Time Clock. They simply need to find their shift and name from the list and click on it. NOTE: Employees need to have clocked in for a shift before they have the option of recording a break. Next, employees will need to click "Start Break" from the list of options. Employee will next need to enter their RosterElf password. 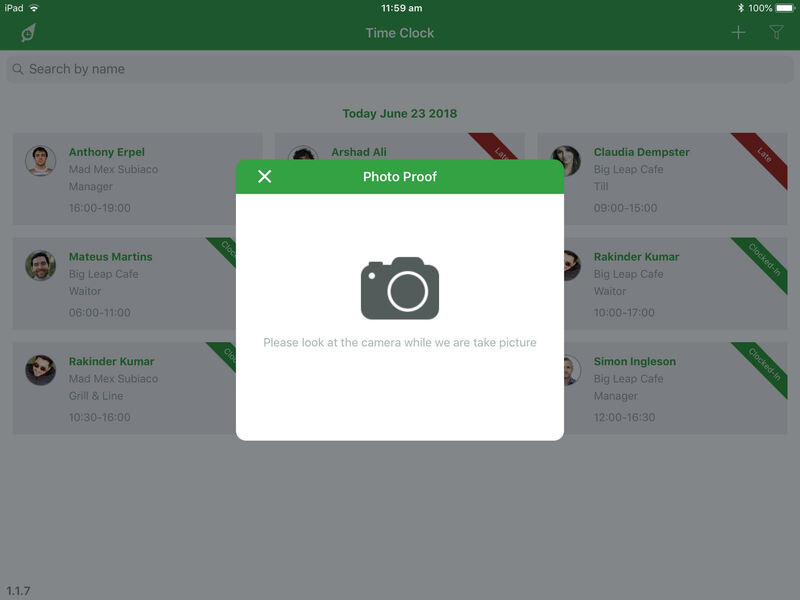 Employees will be prompted to take a photo on the tablet as evidence of their attendance. 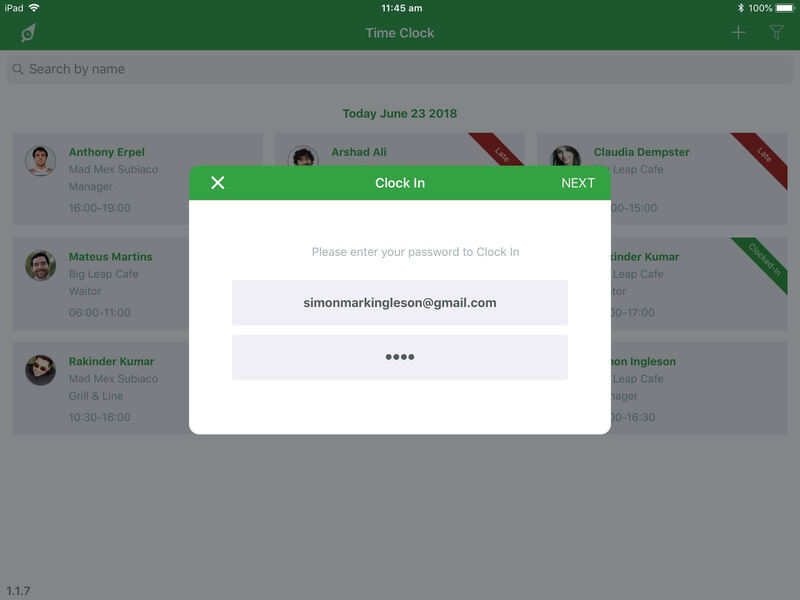 Employees will see a confirmation window when the break is recorded. They will also see an orange "Break" banner on their name when the screen returns to the main view. 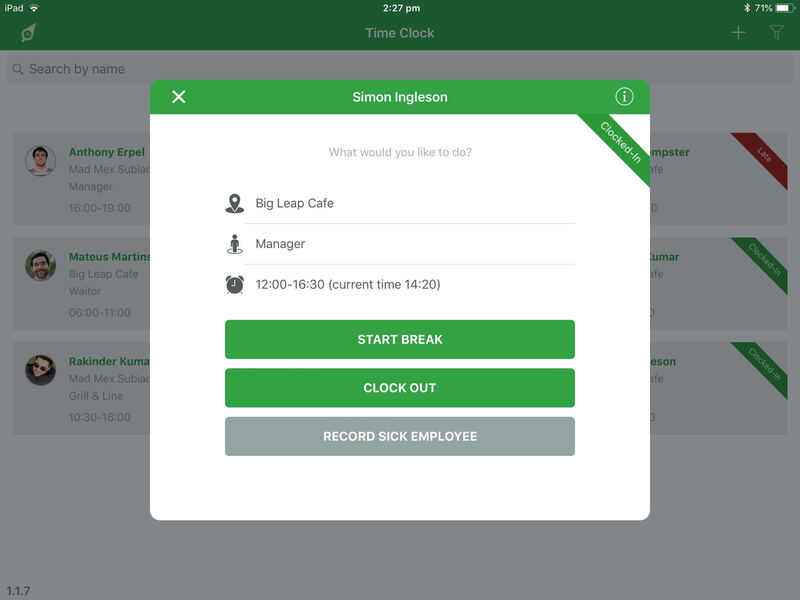 At the end of their shift break, employees can again log out from their break using the same steps.